Just like you need to take care of your house, your car and your pets in order to keep them in good condition, you need to take care of yourself. Your Self consist of several parts; your physical body, your mental body, your emotional body and your spiritual body. Taking care of your physical body is something most women are familiar with. We try to eat healthy, exercise and use lotions and potions to keep our bodies clean and pretty, This is all fantastic, however… Many women take care of their physical body while neglecting mental, emotional and spiritual self-care. If you are spending all your time reading beauty magazines, shopping and clubbing, it does nothing for your mental body. You become dull and vapid. You could also create some synergy by watching a film with lovely costumes and a good storyline; like ‘The Great Gatsby’, by learning to make jewelry or taking a sewing class and learn to look pretty while also learning about literature or developing your creativity. You’ll be beautiful and interesting at once, and more importantly, you feel more complete when you are a well-rounded person. You are much less likely to accept a man who only appreciates your body as you know you have much more to offer. If you are dieting yourself sick and beating yourself up over cellulite and pimples, you lack self compassion and neglect your emotional self. 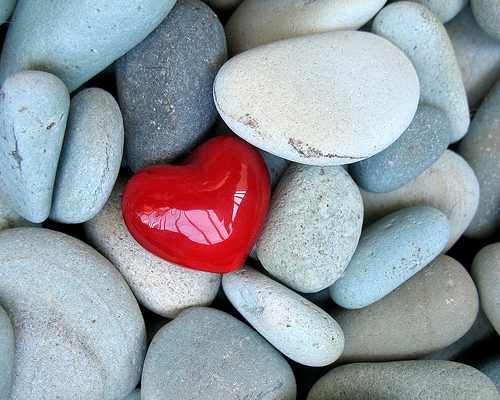 When you care for your heart, you realise you and others need not be perfect to be deserving of love and acceptance. You judge less and love more. You will not accept men who judge you and mistreat you, because you know you are worthy of love as you are. When you then care for your beauty, you need not achieve perfection and you learn to enjoy the process. You cook a tasty vegetable curry or some heart warming soup. You take a relaxing bath that gives you pretty skin, and don’t expect it to remove every blemish. You put on that face and hair mask, not as a chore but as an expression of self-love. If your mind if filled with worries and to-do’s, you lack space for your spiritual self. Your spirit lives inside your mind. It is what’s there when you are in the here and now, when you are relaxed and alert. It is the self that sees, hears, feels the experiences in the here and now. Take the time to clear the clutter in your mind. For some that means yoga or meditation, for others gardening or going to the gym. Another way to nourish the spirit is by beautiful experiences. Nature, especially impressive nature forces you into the here ad now. Art can have the same effect. When you care for your spirit, you are not just doing, but also being. You are present. You are you. Lovely article! Self care goes hand in hand with femininity. Lovely article! Self care and femininity go hand in hand.